Is 2016 already set to go down as the year of the reboot? The saccharine family sitcom Fuller House returns via Netflix this Friday, but it's only the latest in a series of revamped shows making their way to screens big and small. Is 2016 already set to go down as the year of the reboot? The saccharine late 80s, early 90s family sitcom Full House returned via Netflix this Friday as Fuller House, and it's only the latest in a series of reboots that have launched recently or will be making their way to screens big and small in the coming months. The 2016 version of Fuller House sees a recently widowed D.J. Tanner back in her old home to raise her three sons with the help of her sister, Stephanie, and childhood best friend Kimmy Gibbler — a gender flip on the show's original plot, albeit shifted down a generation. If you're wondering how much the series will rely on its predecessor, at least five of the characters' catchphrases made it into the two-minute long trailer. How rude! Bob Saget, John Stamos and Dave Coulier reprised their roles as Danny Tanner, Uncle Jesse and Uncle Joey in the first episode. Canada's own Carly Rae Jepsen sang an updatedEverywhere You Look theme song. Even the set stayed more or less the same: the same red front door, the same oval kitchen table and the same blue-and-white plaid couch. "To never go back and cash in on that is kind of like if you were to pay off the entire mortgage of your house, and the day you pay it off, you move out and abandon it," said Robert Thompson, director of the Bleier Center for Television and Popular Culture at Syracuse University. "There's a lot of equity built up into these branded programs." The X-Files was another much-anticipated reboot that launched on Fox in late January, more than 13 years after going off the air. 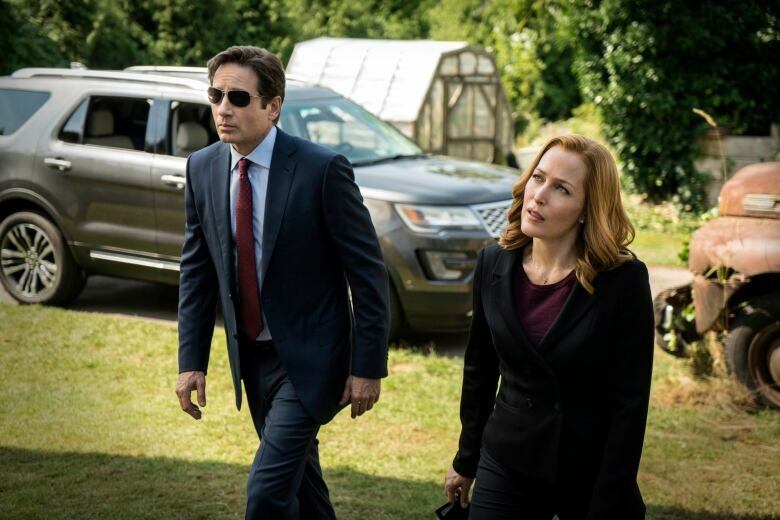 Gillian Anderson and David Duchovny return to the show as Dana Scully and Fox Mulder, FBI agents tracking paranormal activity. The Netflix reboot of the hokey but beloved small-town drama Gilmore Girls has also had the TV blogs buzzing of late, though only four episodes have been promised, and the show's title and premiere date have yet to be announced. Months of will-they-or-won't-they wrangling finally netted Twin Peaks a spring 2017 return. TNT brought in spooktacular director M. Night Shyamalan for Tales from the Crypt. And CBS has ordered up a pilot of the ever-so-resourceful agent MacGyver. Even Canada's own Anne of Green Gables will return to CBC in 2017, more than 30 years after it first aired. A possible Coach reboot was said to be cancelled after the pilot was deemed "too dated" — in spite of the fact NBC had already ordered 13 episodes. But Xena: The Warrior Princess is set to seek redemption once again. And there's rumours of a Will Smith-involved Fresh Prince of Bel-Air revamp. Kids' shows and movies are getting in on the game, too, with fresh takes on The Powerpuff Girls, The Magic School Bus, Popples, Teletubbies and DuckTales all in the pipeline. And then there's the movie-to-TV crossovers: Fox aired 10 episodes of Minority Report this season (though it is likely to be cancelled); Limitless has done well for CBS; and Rush Hour lands next month. There are also TV adaptations planned for Uncle Buck, Lethal Weapon, The Exorcist, Taken and Cruel Intentions. If you think the true silver screen is exempt from retro revivals, you're wrong: Ghostbusters (1984) will be back this summer will an all-female team; Disney is bringing back Pete's Dragon (1977) in August, though the cartoonish Elliott has been replaced with a live-action version; and Stephen King's It (1990) will move from TV mini-series to feature-length movie in early 2017, complete with a more gruesome R rating. And Paul Reubens will bring that distinctive laugh back to Netflix with the feature-length film Pee-Wee's Big Holiday. "Part of it is when you go to the well of ideas, there's a finite number of them that seem bankable," said Thompson. "Getting an already established brand is a natural place to go." Reboots aren't exactly a new concept: Star Trek and Battlestar Galactica are two of the more successful examples while Charlie's Angels and The Love Boat: The Next Wave were decidedly less so. But as Thompson points out, there's a seemingly insatiable demand for content now. "When I was a kid growing up, there were three [major U.S.] networks. 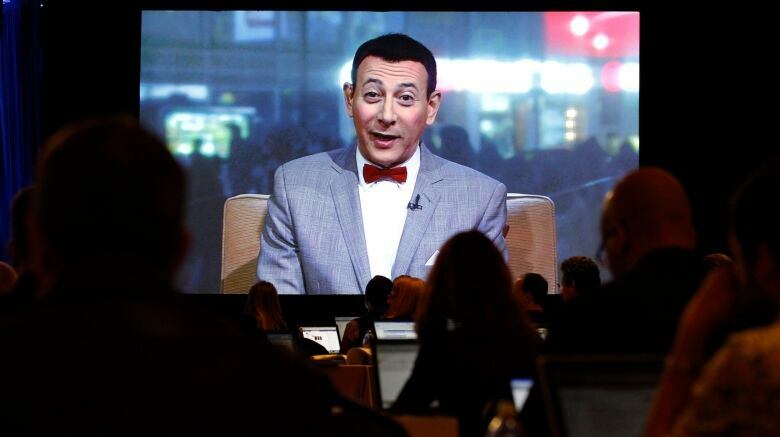 They provided 22 hours a piece of prime-time programming, from September to May, and that was it," he said. Now, there are five major U.S. networks; cable channels like HBO, Showtime and FX; and web-only services such as Netflix, Amazon and Hulu, all creating original programming. In fact, Thompson says the number of scripted TV shows on the air has doubled in the past 15 years to about 400. Scott Henderson, chair of Brock University's department of communication, popular culture and television, also attributes the rise in content to the changing nature of media. Not only does Netflix want to continuously draw new customers, Henderson says, but it needs to provide enough content to keep already-established viewers paying $9.99 every month. "We've all been in the situation where we decide we're going to watch something on Netflix, and then start to go through endless streams to make up our minds on what to watch," he said. "You almost want to have what I would call popular brands: the shows that you recognize instantly, that you're familiar with, that you know what you're getting into." Streaming has also lowered the bar on the definition of success. Traditional TV ratings are no longer king when shows can find a whole new set of viewers outside of prime time. A generation ago, the goal for most network TV shows was to reach the 100-episode mark — the point at which you could hope for syndication and make some serious money, says Thompson. But this generation of cable-cutters has made that model somewhat obsolete. That's part of the reason Netflix has picked up shows like Arrested Development,Trailer Park Boys and Degrassi after they were dropped by their networks. But not unlike a fine wine, shows have to age a bit before rebooting — about 15 to 20 years, Thompson says, making the timing of Fuller House "perfect." "After 20 years, these things have been gone long enough that a whole generation is now adults with mortgages and collapsed dreams who really like to go back and think of when their lives seemed simpler," he said. Shows from the 1980s and 90s are particularly well suited to nostalgic revivals, says Henderson, because they represent the childhood programs of the last generation of viewers before the internet became the dominant entertainment medium. "The one thing I wonder about the current generation of young people, who are online much more and whose world is instantaneous, is will there be anything for them to be nostalgic for?" he said. "YouTube videos will always be there." Clay Routledge, a social psychologist at North Dakota State University, has made a living out of studying nostalgia. He says there are two classes of triggers. One is sensory: the sights, sounds and smells that invoke a meaningful memory — whether it's the song that played during your first slow-dance or the smell of a treat your grandmother would often bake. But the other is what he calls psychological threats. "Experiences that make you feel threatened tend to trigger nostalgia," said Routledge. His research suggests that not only do people use nostalgia to look fondly back on the past, but the emotion can make them more optimistic about the future. He's not surprised, then, that we're seeing a fresh wave of reboots just a few years after a global economic crisis and in the midst of growing terror threats and increased focus on the world's environmental problems. "People are comforted by coming back to these memories, these things that they enjoyed from their youth," Routledge said. "Our childhood years are a little bit more carefree ... It's a safe source of memories." Henderson agrees that an age of uncertainty has given "extra oomph" to nostalgic reboots. "It recalls a sort of pre-adolescence era for a lot of people who went home after school to watch these simple shows," he says. "That's one of the things about sitcoms: they wrap everything up nice and neatly for us."